Give your car a showroom finish with this dual-action cleaner and polish. Easy to use on all interior and exterior surfaces, including plastic, vinyl and metal. 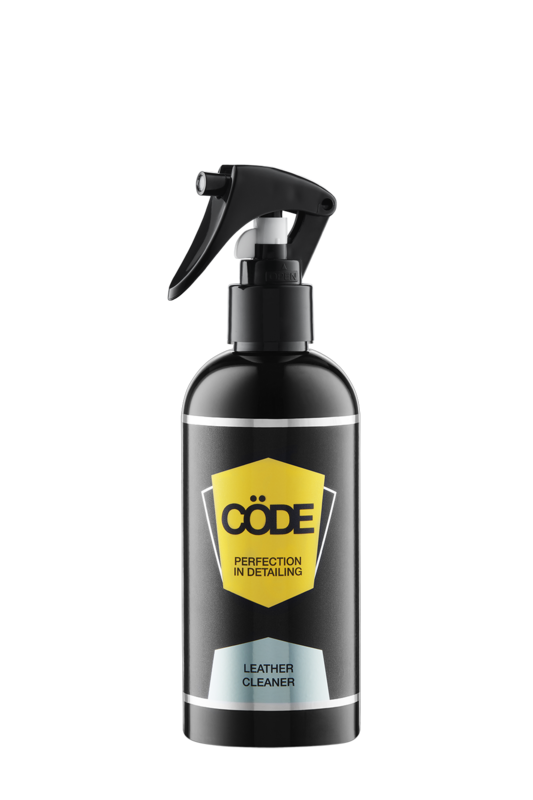 Cöde Premier Gloss Detailer gives your car a ‘premium gloss finish’ and will repel dirt and dust for weeks. *This product is also available in matte. Remove any heavy grime with a wet cloth. Wipe on your chosen surface using a Cöde Microfibre Cloth (avoiding foot pedals and dashboard). Leave to dry for a long lasting gloss finish.